A disturbing lack of conversation and sources surrounding the increasing promotion and glorification of the military speaks volumes about America. There are some concrete ideas advertised in the modern era that feel odd when marketed to the public. For instance, milk. Something that’s been around since the dawn of time, and yet companies are compelled to hype up this well-established beverage in order to drive sales. Similar to the “got milk” campaign, the military has also been trying to modernize and romanticize an age-old concept for contemporary audiences: war. 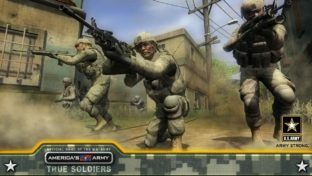 In 2002, the U.S. military created a series of first-person shooter video games on the game technology platform “America’s Army”, which allowed everyday citizens to try out the army experience for themselves. A screenshot from the video game America’s Army, courtesy of NHPR. Since then, the free, government-funded game has exploded with over 41 versions and updates, and plans made in 2018 to expand the platform further. America’s Army even won a 2007 Guinness World Record for the largest registered virtual army of 8 million users, almost 15 times the size of the actual Army during that year. The game is marketed both to teens and young adults, appealing to a gamer generation accustomed to gore, nameless and often faceless enemies, explosions and combat. Distributed as a modern tool for engagement and recruitment, America’s Army allows players to learn military tactics and receive training as a “virtual soldier.” Despite placing an emphasis on “honor” and a supposed sense of realism, it’s hard to tell whether the game subverts or feeds into a growing desensitization to violence on screen (as well as impaired interpersonal relations off screen). Targeting the public’s widespread acceptance of diversity, the ads feature a varied crew of pilots, engineers, scientists and soldiers who are brave, daring, and most importantly, selling an idealized concept rather than a reality. Admittedly, dishonesty and propaganda are the heart and soul of advertisement; however they should no longer be the military’s policy in the 21st century. 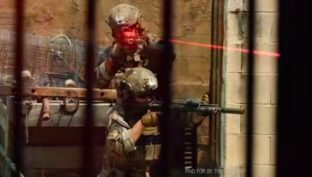 Among the more problematic aspects of the ads is the fact that they too seem reminiscent of detached and mindless video games: the viewer is enticed with aesthetic action shots showing U.S. troops firing bravely, jumping out of planes and launching grenades while also developing advanced technology and weaponry. 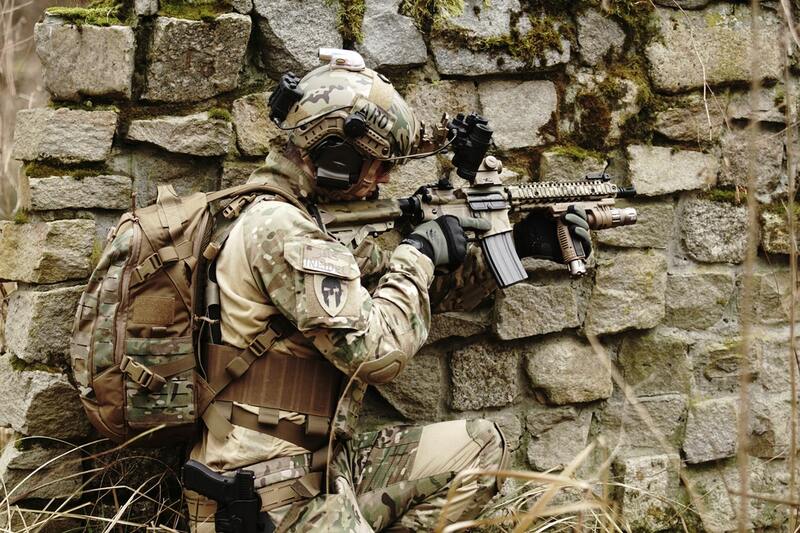 The enemy combatants are nowhere to be seen, a phantom force in a location that appears to represent Middle Eastern terrain. Image courtesy of the Warriors Wanted campaign on Youtube. The Army has also been sending recruiters online, taking advantage of social media platforms, e-sports arenas and gaming contests as viable ways to reach young and impressionable audiences that aren’t likely to be employed. As the unemployment dwindles around four percent, Army officials have said there is a smaller group of eligible adults to recruit from. A group which is only made smaller by the dismissal of legal immigrants without green cards, and Trump’s ban on transgender military personnel, which in the future could dispel thousands from the force. Another cause for the decreased recruitment rate could potentially be the fact that other businesses are able to offer incentives used by the military. While once a high school student from a working class family could only hope to attend college after joining the Army, now companies are helping students pay for their education and other expenses. In spite of its appealing nature and possible perks, it’s imperative the public realizes that the armed forces aren’t anything like a video game, laser tag or an aggressive match of paintball. In video games you can’t see the long-term consequences of your actions that go past a pool of blood. It won’t feel the same to deal with a living, breathing adversary that you know little about. Showing the adventure, the innovation, the gunfire and the bombing without showing the people being affected removes the elements of humanity, empathy and overwhelming loss, from war. Furthermore, minimizing the horrors and detriments is disrespectful and insulting to those whose lives have been destroyed by the brutality of warfare. Because the advertisements and the video games won’t mention the military’s homophobia, transphobia, history of war crimes, and intense relationships with PTSD, alcoholism, addiction and drug abuse, as well as sexual assault. While not everyone in the military faces adversity or is left with significant issues, few people come out completely unscathed. People who fight with honor and human decency for their country should be commended. However, a system that lures people into immoral and unjust conflicts under the guise of heroism and other false pretenses is something that needs to be addressed.